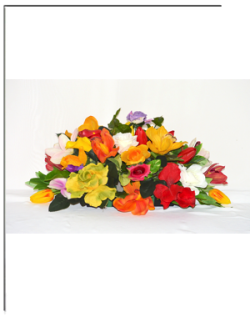 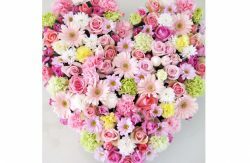 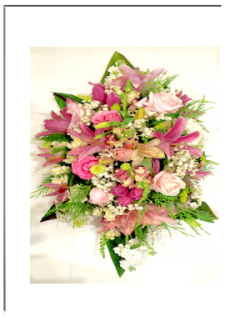 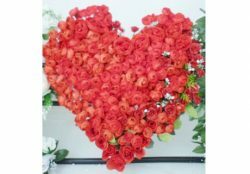 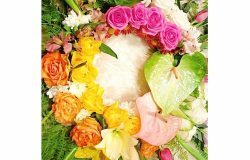 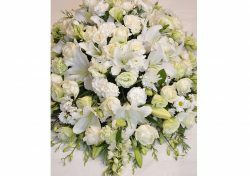 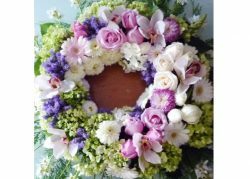 Funeral Flower Arrangements for Sympathy comprises simple bouquet usually in softer tones - white or pastels, while some opt for uplifting colours of bright colours during time of loss. 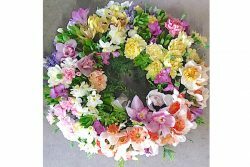 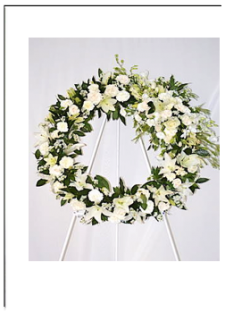 Our team specializes in funeral wreaths up to 1m wide, written condolence messages in all languages particularly in Chinese Mandarin. 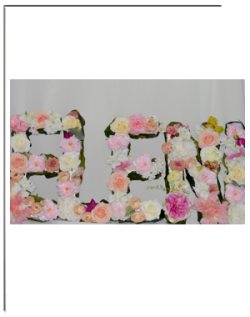 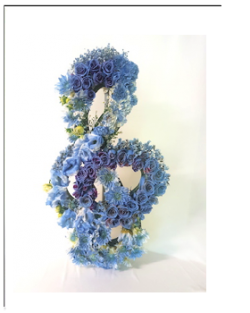 Highly sought after are our custom made flower letters filled with flowers – Yia Yia, Brother, Mum, etc. 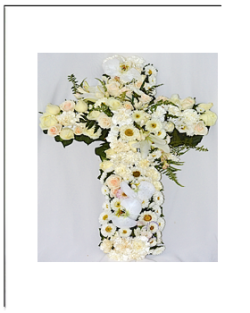 Others are casket top flower sprays and casket flower arrangements, flower cross, flower hearts, posy pads, wreath tripod stands, all with same day funeral flowers delivery to churches, funeral homes, funeral services at cemeteries, botanical gardens, Springvale Botanical Garden in all suburbs in Melbourne, Victoria.